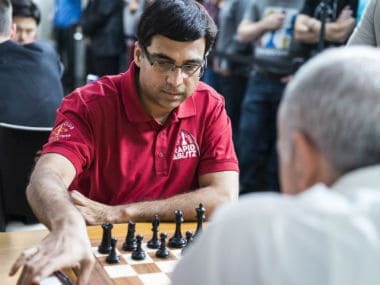 Viswanathan Anand continued his poor run to score the same 3.5 points from his second leg of nine blitz games in the final day of the Saint Louis Rapid and Blitz event. 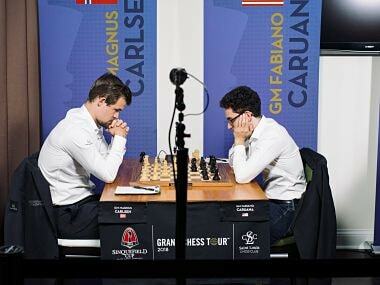 Levon Aronian won the championship with a combined score of 24.5 points with an impressive 24.5 margin. Anand seemed relieved after finishing the final round game, as playing a total of nine classical games, nine rapid games and 18 blitz games over a 17-day period at Saint Louis took its toll on the five-time world champion. After finishing in a tie for the second place in the Sinquefield Cup along with world champion Magnus Carlsen, Anand's combined score of 14 points and ninth place among 10 participants has been one of the worst in recent years. Viswanathan Anand in action at the Saint Louis Rapid and Blitz. Anand needs to recover quickly from this poor form, as he is scheduled to play a crucial event, the Chess World Cup at Tbilisi, Georgia from 2 September. Anand would look to reach at least the final of the World Cup which will be held in a knockout format. 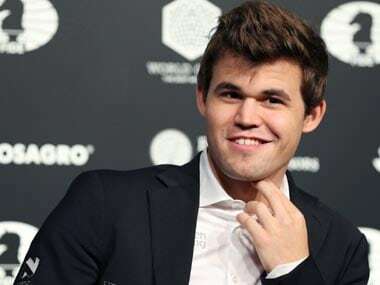 Since he hasn't qualified to play the Candidates Tournament for the World Championship cycle by rating or seeding, the World Cup will be the only avenue for him to qualify for the World Championship. Another former world champion, Garry Kasparov impressed on the last day of the blitz event, as he scored six points on the last day, the joint highest score of the day along with Aronian. The leader of the blitz event from the previous day, Sergey Karjakin scored 5.5 from the last day's nine games, though it was enough for him to win the blitz title with a score of 13.5 points, ahead of Aronian on 12.5 points. The final day started on a promising note for Anand, as he defeated Russian Grand Master Ian Nepomniachtchi with black pieces. Since he finished the first day of the event winless, this was a good result and hopes for a turnaround in his form were expected. 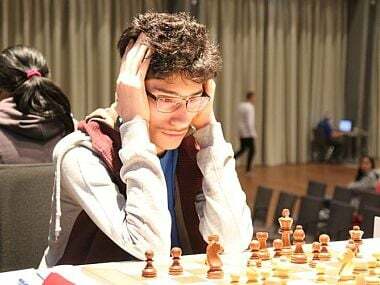 However, two losses in the immediate next rounds to the American duo Fabiano Caruana and Hikaru Nakamura effectively grounded Anand's hopes. 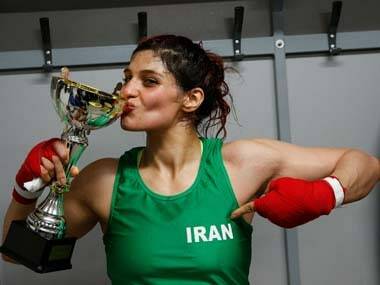 In the remaining six games, he scored five draws apart from a loss to Cuban Grand Master Leinier Dominguez Perez. In the overall analysis, Anand's game seemed to be lacking penetration. He could not create winning chances by playing proactively to wrest the initiative from the opponent. This is a fundamental ability needed to win games in the blitz format, and Anand's lack of form and fatigue showed in his games, as most of the games followed simple positional paths rather than positional complexity or tactical skirmishes. In comparison, crowd favourite Kasparov delighted spectators, as the temperamental Russian won praise and even spontaneous applause occasionally for his eagerness to play for the initiative and win games. His game against Perez was a case in point, where Kasparov showed vintage form by playing his favourite Sicilian Najdorf opening with black pieces. He single-mindedly pursued the initiative virtually every move of the game, to be rewarded with an one-sided win in 48 moves. Considering that Perez has been regarded as a blitz specialist being a former world champion in the shortest format of the game, Kasparov's victory in the 17th round looked impressive and praiseworthy. V Saravanan is an International Master and author for ChessBase India.